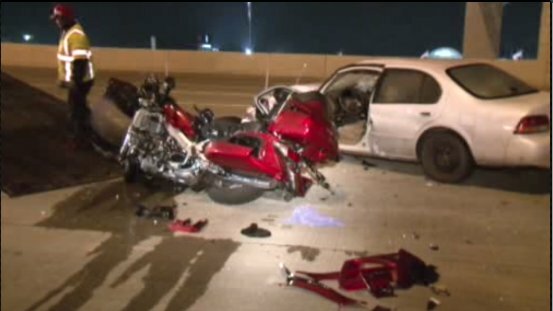 A motorcyclist was killed in an accident caused by a wrong way driver who police believe was driving drunk. The accident happened around 8:00 p.m. on Saturday November 30th on the Katy Freeway (I-10). The woman driving the car was taken to hospital with minor injuries and was arrested on intoxication manslaughter charges. Channel 2 News’ story states the driver’s name and victim’s name has not been released; a photograph on Channel 2’s web site shows a red motorcycle and what appears to be an older model Nissan Maxima. Harris County public records show that the only female charged with intoxication manslaughter in Harris County within the past 48 hours appears to be an individual named Ashley Tran of Houston, Texas. The same public records indicate Ms. Tran is currently in Harris County Jail and her bond has been set at $30,000. This entry was posted on Monday, December 2nd, 2013 at 12:14 am and is filed under Drunk driving accidents, Motorcycle Accidents.